"When you go into a studio you're trying to figure out a way to create the best impression of who you are," says Steve Rosenthal, recalling his first professional recording experience. "I thought, 'Well I'm 20 years old, if I've got to spend a lot of time in a place, this seems like an interesting place to spend some time." As the owner of The Magic Shop recording studio, Rosenthal spent the last three decades helping artists like Lou Reed, Coldplay, David Bowie, Arcade Fire, Norah Jones, and countless others present their own best impressions of themselves. More recently, running MagicShop Archive & Restoration Studios, he's helped to usher in improvements on classic recordings by The Rolling Stones, Blondie, Elvis Presley, Woody Guthrie, and others, as well as digging into some legendary artists' unreleased archives. Rosenthal got his start in the mid '70s as an engineer at A1 Sound in New York City, owned by Herb Abramson, co-founder of Atlantic Records. "I had to record the Atlantic Records way," Rosenthal recalls. "You could only have three microphones on the drums… all the records that I engineered when I was at Herb's place were sort of R&B records with large bands… and it would pretty much all happen at once. It was really trial by fire." 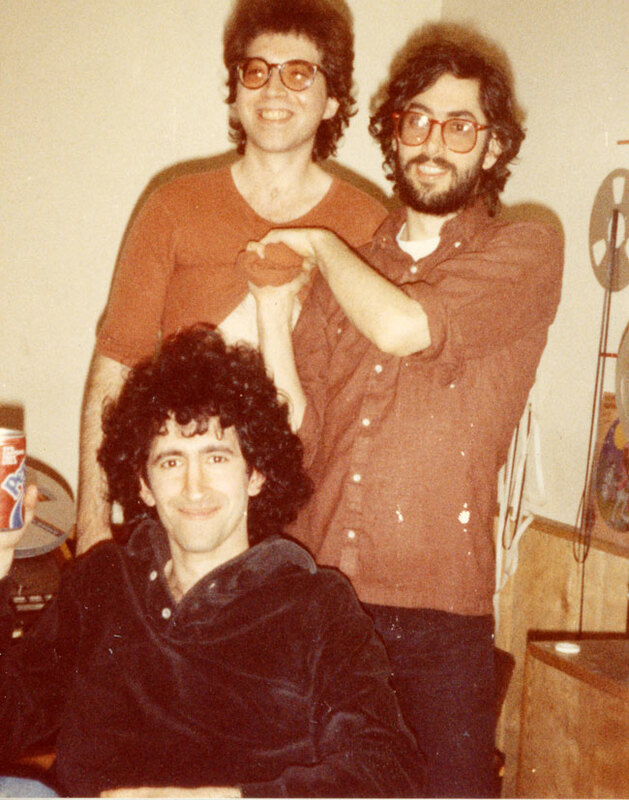 With partner Gary Dorfman, Rosenthal opened NYC studio Dreamland in the late '70s, recording tons of the punk and new wave bands that were popping up all over town at the time, and even starting one of his own, TV Babies, as well as his own label, Rockin' Horse Records. In 1984 Rosenthal parted ways with Dorfman and went off on his own, working at several different New York studios and building up a solid clientele. During this period he did his first archival/restoration work on The Rolling Stones' catalog through their former manager/producer Andrew Loog Oldham. It was in 1987 that Rosenthal finally opened The Magic Shop downtown on Crosby Street. "I wanted to get a place with high ceilings," he relates, "because I wanted good drum sounds, and that led me down to SoHo, which was incredibly funky at that point. It was still transitioning from an industrial neighborhood that was leaving and an arts neighborhood that was growing." Rosenthal made a crucial decision to build his studio around a mighty but disregarded piece of equipment. "I really wanted to have a vintage Neve," he says. "I loved the sound of those early 1067s, 1079s, those Neve mic pres. In those days, they were destroying the vintage Neves—they would break them up and just keep the mic pre's, because everybody wanted to use SSLs. I've never been a big SSL guy. So I went to England and I went on a Neve hunt to try to find a vintage console." He uncovered his quarry in London's East End, where it had come from the BBC's Maida Vale studio. After a harrowing shipment home, where customs officials busted open the crate to check for contraband, the console became the cornerstone of Rosenthal's fledgling studio. "Later, I found a double console in England," Rosenthal remembers. "Rupert Neve helped us put the two of them together, so I had Neve No. 289 and Neve No. 290." Of course, having heavy-duty gear isn't enough—you have to know how to use it. "It's all about presence when you're dealing with that console," explains Rosenthal. "It's not about, 'Oh, I've got a compressor, I've got a gate, I've got all that crap.' It's really the antithesis of that. There's no other mic pre that has the level of presence that these do. 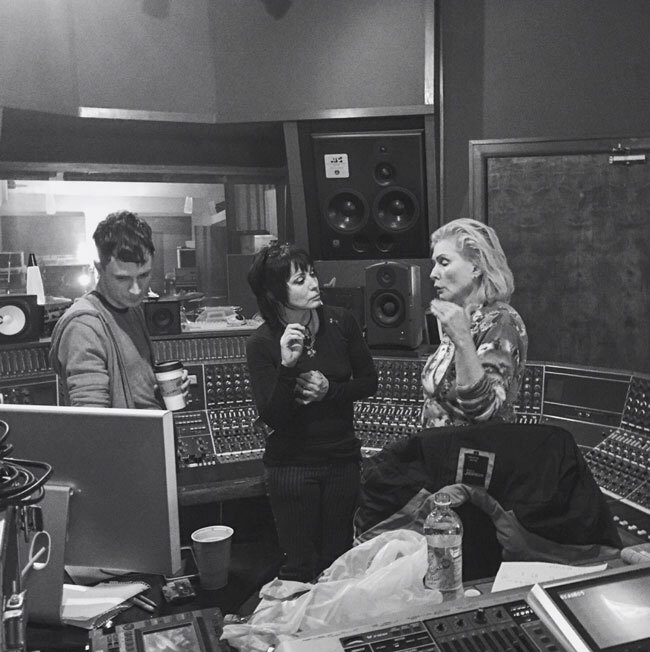 The Magic Shop philosophy was to really go basically from the bottom of the mic pre to either the tape machine or the Pro Tools and put as few things in the path as you could." Strange as it seems now, it took a while before many clients cottoned to the then-unfashionable Neve. "When I first opened, people thought I was completely whacked," says Rosenthal. "They could not understand how I could build a brand-new studio and put an 18-year-old console in it. I had a lot of problems in the beginning getting people to come there." Over time, Rosenthal made a booming business of The Magic Shop, and he recalls projects with Charles Brown, Suzanne Vega, Sonic Youth, Lou Reed, and The Ramones as some of the highlights of the studio's first decade. Rosenthal was the producer for Reed's 1996 album Set the Twilight Reeling. 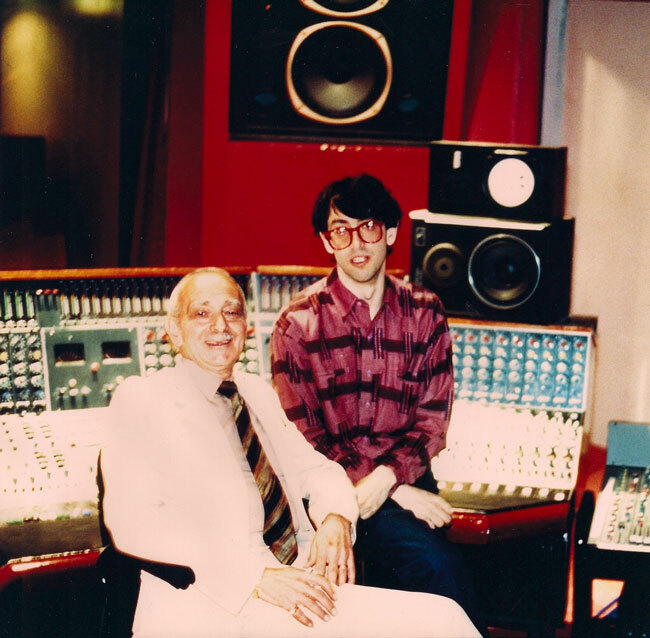 "He was extremely interested in how things sounded and also really gravitated towards things that had a lot of presence," says Rosenthal, "and I think that attracted him to use the Neve console." "Lou had incredible ears," he recalls. "If he was not happy, boy, you knew it. The record that I made, we used his original Fender tweed from the Velvets—we got that out of storage. That thing was just completely royal, that's the only way to describe it. We spent a lot of time getting guitar sounds." In the studio's later years, albums like Arcade Fire's The Suburbs and Coldplay's Viva La Vida were cut there. 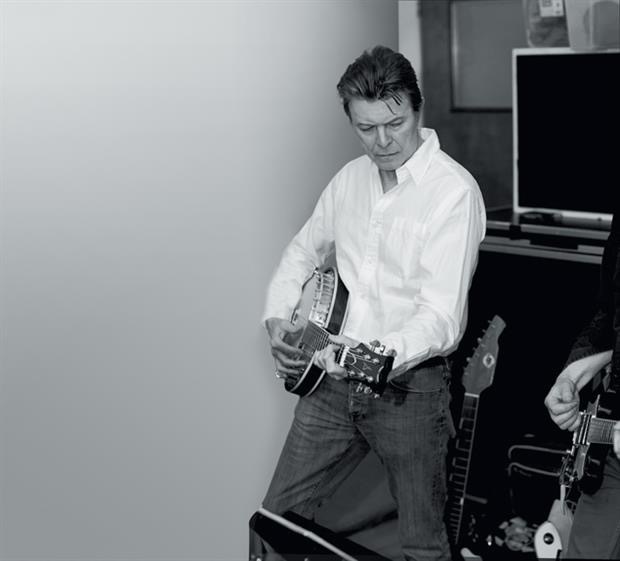 But among the most memorable sessions of that era were the ones for David Bowie's final two albums, The Next Day and Blackstar. Both were recorded in secret, to such a degree that to this day Rosenthal remains under a non-disclosure agreement about them. What he can publicly reminisce about, though, is the way the super-secretive sessions came about. "[Bowie producer] Tony Visconti came by one day," Rosenthal recalls, "and he wanted to walk through the studio and get a tour. We said, 'Who's the artist?' He said, 'I can't really tell.' They went at some point to another studio and they had privacy issues. We really didn't have any problems with privacy—that's something you could achieve at the Magic Shop very easily. Tony said, 'I want to book some time.' Our only inkling in the beginning was when the guys that were in his band started calling up. And we thought, 'Wow, this might be who we think it is!'" During the sessions, privacy remained a paramount concern. "During the time period when David was at the Magic Shop I pared down the staff," says Rosenthal, "because I couldn't trust the young kids who spent a lot of time on Instagram, Snapchat, Facebook, and all that stuff with the knowledge that he was there, because the sessions were a complete secret. But it was a remarkable adventure. He was always gracious, and it was great to have Tony around. Kevin Killen, who engineered Blackstar, is one of the best engineers ever." But in 2016, as is so often the case, the iron fist of the New York City real estate market came down upon the arts, as a greedy landlord eventually forced Rosenthal out of the building. 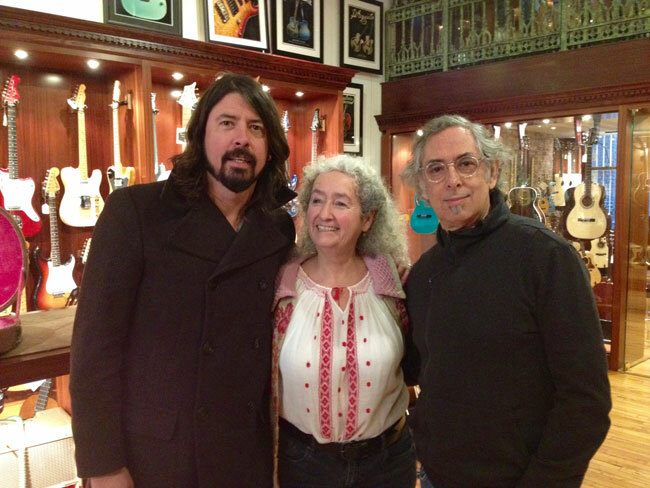 Even superstar supporter Dave Grohl, who included Rosenthal and the studio in his HBO documentary series Sonic Highways, and brought the Foo Fighters to record there, was unable to save the day. "Dave is an incredible guy," says Rosenthal. "He helped me try to save The Magic Shop. He really stepped up and really did everything he could to keep The Magic Shop afloat." But while new records were made on the studio's upper level, there was usually archival and restoration work going on downstairs. So when Rosenthal had to figure out what to do next, he decided to open a new space dedicated to the latter pursuit. He found a spot on Jay Street in Brooklyn for the business he christened MARS (MagicShop Archive & Restoration Studios). "I've been in there about two years now," he says. "And we've been really nice and busy doing preservation projects. Right now I'm doing work for Blondie [remastering Parallel Lines and Eat To The Beat]. I just did the Lou Reed personal archives that are gonna be housed at the New York Public Library—we digitized a large collection of assets made up of reels and cassettes of Lou's personal library. We also did Laurie Anderson's archive for MASS MoCA. I've been doing a lot of work with Gotye—he's been very interested in preserving and digitizing early electronic music archives. The MARS business and this ability to continue at least part of the Magic Shop has been going well." In his restoration work, Rosenthal—along with engineer Alex Slohm, who he says "has really flowered at this new place"—brings a historian's respect to his process. "We use all the modern tools that are available," he allows. "Eventide has some tools and iZotope has some tools... but I always like to leave intact part of the original integrity of the recording. That means if there's a little hiss, it's okay. If it's a little lower in level than the newest Rihanna record, that's okay. I think it's important to leave the recordings time-stamped. I'm not really a big believer in trying to take a record that was made in 1973 and pretend it was made in 2017." Digging into dusty old archives, Rosenthal has a few trusty tools he relies on to light his way. "I really would recommend that anyone who's gonna get into it goes out and buys one of those Arnolds [Arnold Magnetic Viewer]," he offers. "It's a little circular magnetic finder which helps you to determine what the actual track count is and what the format of the tape is that you're looking at. It's a really amazing old-school tool that really helps, because lots of times what's written on the boxes is not necessarily what is there." Part of Rosenthal's work is what he calls restoration mixing, which entails a kind of multi-tasking mindset. "I was working with Rob Santos at Sony for a while mixing Elvis Presley 16 track two-inches," he says, "and those are a prime example. You're doing restoration work and you're mixing at the same time... fixing levels, fixing buzzes, fixing hisses, micro-mixing to get the levels to feel right. There's a bunch of this restoration mixing that's going on." An important component of bringing fresh life to vintage recordings is sourcing the original masters, which isn't always simple, especially with older catalogs like The Rolling Stones recordings. "Teri Landi, who is the ABKCO preservationist, and I did a lot of work together," says Rosenthal. "And that's a part of the process that's really underappreciated, making sure you have the proper sources. Teri's just a first class person—I can't say enough about how much she cares about the early Stones stuff and how much she wants to get it right. When you get to do the '60s stuff, it's not all in one place [cackles loudly], the tapes are all over the place. And it really takes time and perseverance to find them." While some are wary of getting their hands dirty with the original tapes, Rosenthal readily leaps right in. "They take the first generation stuff and they put it in the vault because they're afraid to deal with it, because it sheds or it has some issues," he says. 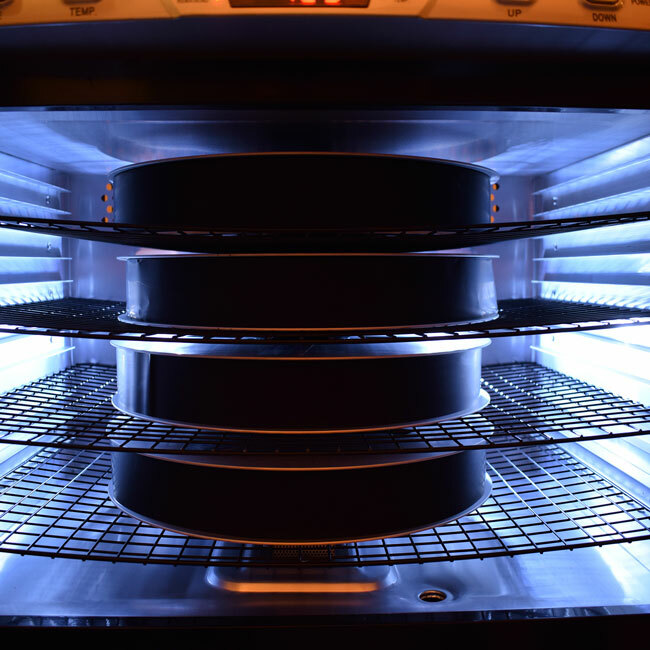 "I can't tell you how many times I've looked at spreadsheets and it says DNU [Do Not Use] and I go, 'No way I'm not gonna use this tape—let's see what it's like, let's get it out of the vault, let's put it on the machine, let's bake it if we need to, let's figure out what's going on with it.'" For all the complications of the analog realm, though, Rosenthal predicts a tougher path ahead for digital archivists. "Tape is a really resilient format," he asserts. "Most of the tapes that I've worked on from the '50s and '60s have been in wonderful shape. I'm not sure we're gonna be able to say the same thing about hard drives. I'm not sure what the preservationists are gonna do when they have to do the 25th anniversary of a record that was made in 2001 or whatever, and it's on a drive and the drive won't spin and there's no working iMac with Pro Tools 3. I think the road ahead for digital preservation and born-digital media looks a lot rockier than people want to admit." "When I look at an old session tape, think about how much information I get," he says. "I get the studio, I get the producer, I get the engineer. I get the songs, I get which take they wanted to use, I get where the studio was, I get how long the song is. Think about all the information you get on a tape box and then think about what the hell you're getting on a Pro Tools session. It's something that I'm trying to find solutions for. It's a conversation we really need to start having as an industry. I've got my secrets and stuff, you know me, but I'm happy to chat with people who are interested in it." Ultimately, Rosenthal's sonic spelunking in historic archives has profoundly informed his own audio aesthetics. "It's funny," he muses, "I owned this incredible recording studio where you can overdub, overdub, overdub. But through my work in legacy-type artists I've really developed an incredible appreciation for the document style of recording. There's an honesty to it that's really hard to miss, and hard to duplicate." To learn more about Rosenthal's work, visit the MusicShop Archive & Restoration Studios website here.